EU agriculture ministers are to hold talks on the horsemeat scandal that has reportedly affected up to 16 countries. Irish Agriculture Minister Simon Coveney will chair the Brussels talks, which will seek ways to restore consumer confidence in meat products. This comes after the discovery that meat sold in Europe labeled as beef contained horsemeat. 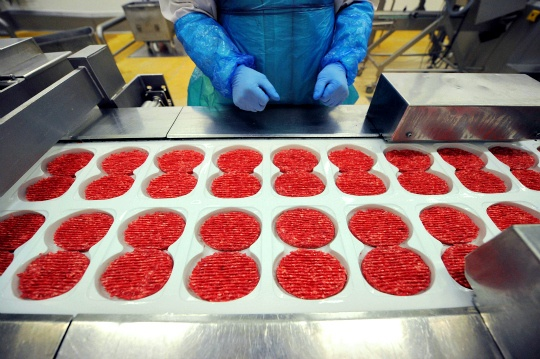 On Tuesday, a slaughterhouse and a meat firm were raided by police in the UK probing alleged horsemeat mislabelling. UK Environment Secretary Owen Paterson said it was unacceptable if British firms were defrauding the public. Meanwhile, Romania has proved that it was not the source of the mislabeling of horsemeat. Bucharest says horsemeat that leaves the country has not been minced, and is labeled as horse. The ministers from the UK, France, Ireland, Luxembourg, Poland, Romania and Sweden are expected to take part in the talks in Brussels, along with European Commission officials. The meeting goal is to exchange ideas on where the problem might have originated and how to stop it in the future. Tighter restrictions for the labeling of processed food are now in the pipeline. “We are looking at whether [such labeling] is possible… but nothing is fixed yet,” said a spokesman for EU Health and Consumer Affairs Commissioner Tonio Borg. There are growing concerns that that a drug used to treat horses – and which is harmful to humans – could be in the food chain. But EU officials say public health is not at stake, and the problem is instead one of mislabeling. They say it is up to national regulators to take action.